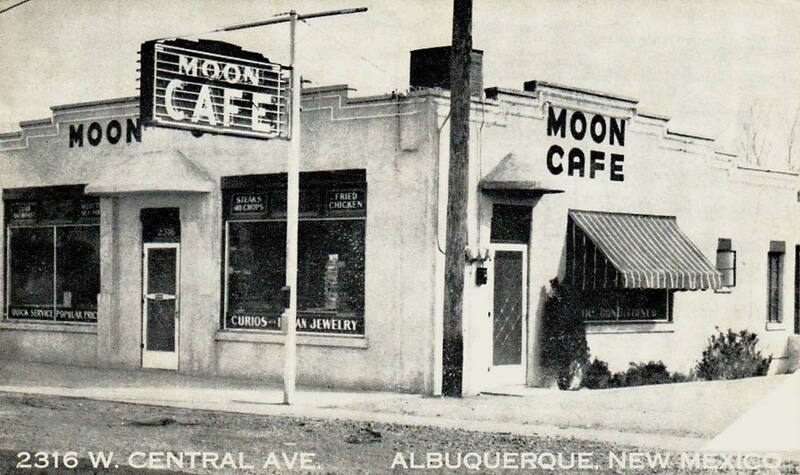 A 1940s postcard from the Moon Cafe at 2316 W. Central Avenue, Albuquerque, New Mexico. Typical of businesses on Route 66, signs in the windows advertise "Curios and Indian Jewelry." The back of the postcard reads "We Never Close. Dinner and short orders 24 hours a day. 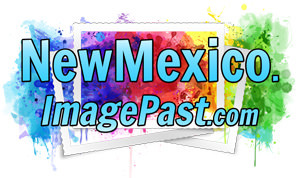 Eight first class Motels within two blocks."